Rajasthan is the desert state of India. The land has been one of the most significant part of this great Indian Civilization. From the Indus Valley to Rajputana, every ounce of golden history is unearthed from these desert soils. Hence the culture of this part of the Indian sub-continent is also very unique. It has quite a standout features from other parts of the northern and western Indian cultures. The dance forms of the same are also very peculiar. Some of the dances display the regality of the kingship while some others display the carefreeness of common folks. 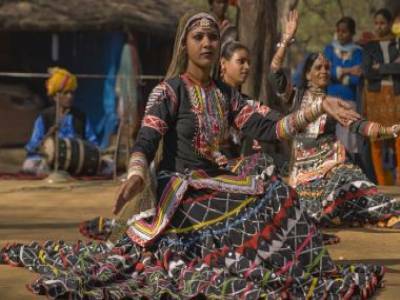 The dance form called Kalbeliya or Kalbelia has a bit of both regality and playfulness. 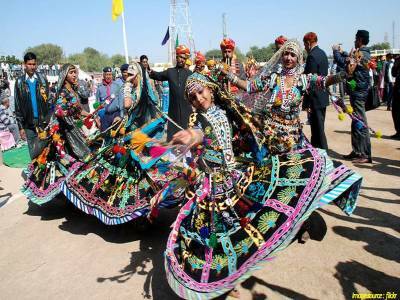 The dance form was invented or rather came into being form a Rajasthani tribe called Kalbelia. The tribe is essentially a desert gypsie tribe. Their main profession is snake charming. Hence this is one may say the dance of the snakes. In a way the Kalbeliya or Kalbelia is one of the most sensual dance forms that was born from the cradle of rich Indian culture. The dance is mainly performed by the women folks of the tribe. 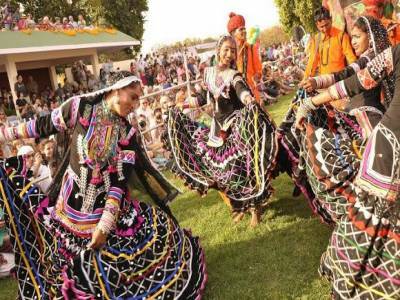 Nowadays the dance form is accepted as a traditional folk dance of India and is being taught and modernized using contemporary music. The history behind this dance is that of a serpent yogic dancer who traveled the desert and kings found his blessings divine. 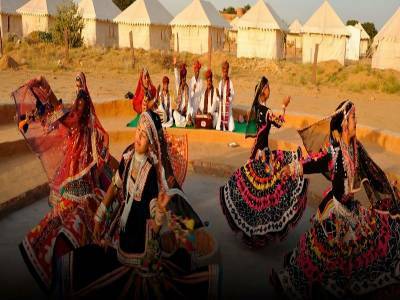 The dance is famous in Udaipur, Ajmer, Chittorgarh and in other desert provinces. Nowadays both men and women perform Kalbeliya or Kalbelia. The wardrobe is black colored angrakhi, odhani and lehnga. Women make sensual hand and body movement while rotating at high speeds. The men rhythmically conjuncts the motion for slight duets. 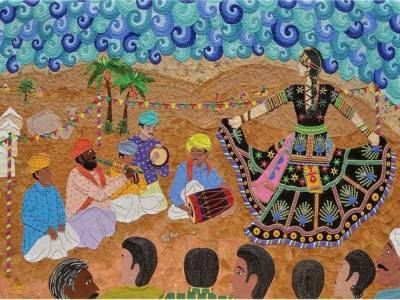 The music is very raagic and the use of dhols, dufli and khanjar is very mesmerizing on the onlookers’ sense. Get quick answers from travelers who visit to Kalbelia Folk Dance.